It is highly recommended to use https only for accessing the Web API, as otherwise the secret token could be intercepted by third parties while being transmitted in cleartext via http! All requests must be authenticated using an expiring signature. This is similar to the approach used by Amazon to secure access to their S3 Storage API. Once authenticated, all activated API actions can be executed. In addition to the security measures enforced by the API, it’s strongly advisable to implement SSL for the WordPress site (beyond the scope of this API). 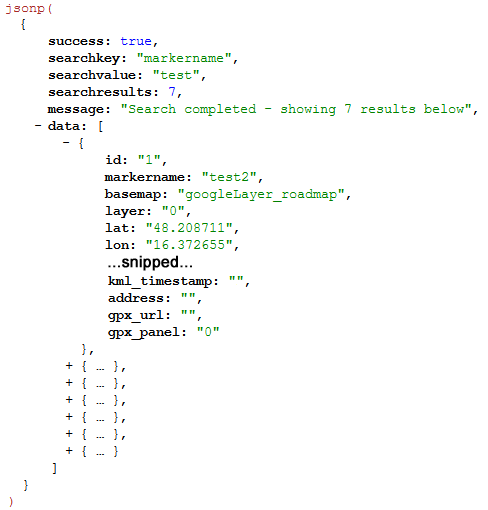 search gets overwritten if parameter geocode is used! search if NULL, default icon will be used. Please just use the filename of the icon as stated in the example. All icons available in the icon directory (usually /wp-content/uploads/leaflet-maps-marker-icons if you didnt change it in Settings / map defaults / Default values for marker icons) are available for usage. API status: allows you to enable or disable the API globally. Default: disabled. 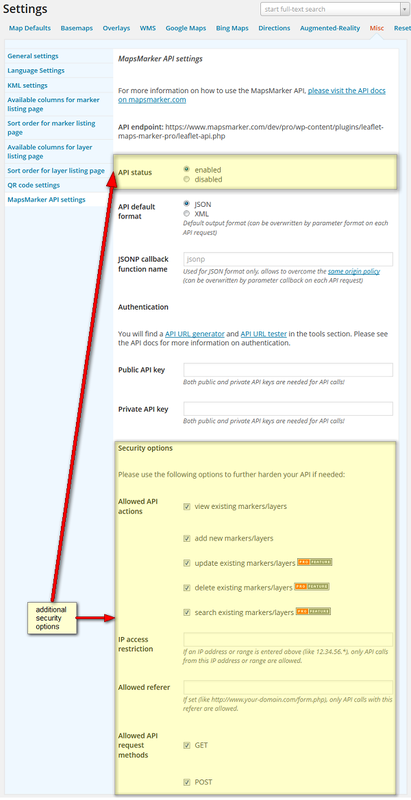 Below you will find some example showing how the API can be used. If you have any questions, please open a support ticket!